Canopy Vista Los Sueños S.A. has a liability insurance policy. 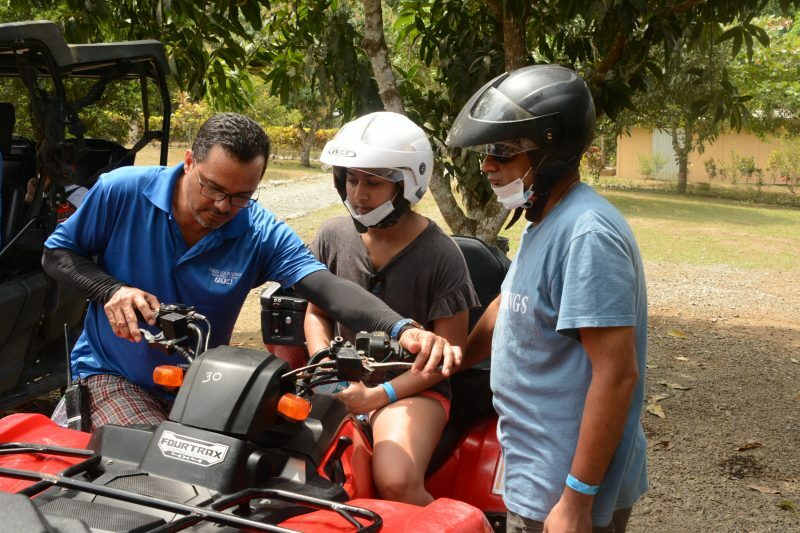 It covers the implicitly risks on our tours and it compromises the tourists to follow exactly the norms described in the internal operations rules of Costa Rican law in adventure tourism and under the executive law # 29421-MEIC-TUR, signed and published on January, 3, 2001 is in duty to have a waiver such as this one. 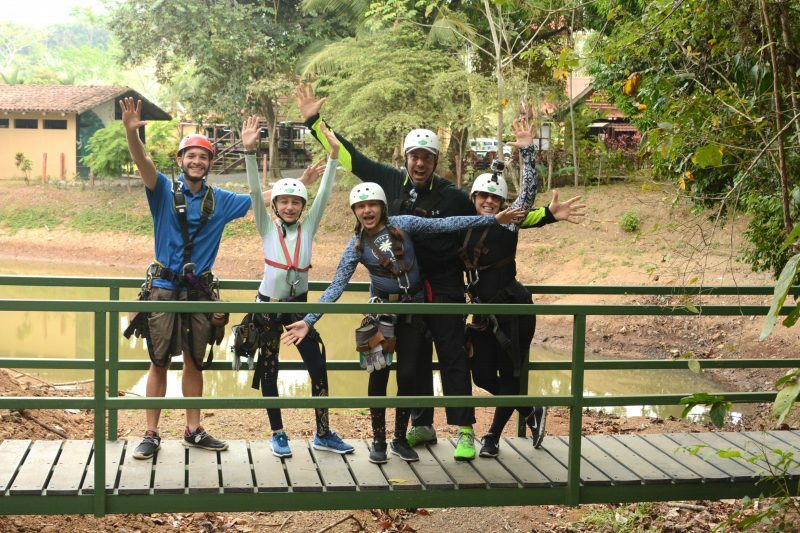 I fully understand that my participation in the adventure tour (Known as any tours activity that involves sport and physical skill levels with an identify risk and direct or partial contact with nature) denominated in this case (Canopy, Horseback Riding and ATV Tours), as well as the use of all the facilities would be completely and absolutely under my own risk. I will not adopt aptitudes that could put my self in danger or the rest of the group; also I will not execute any action that could harm the environment. I completely absolve any company, agent, employee, supplier or sponsor associated with Canopy Vista Los Suenos S.A. with any legal, moral or financial responsibility of any eventuality, including personal injuries or personal possession; in case it happens because I did not give the complete information to the tour operator about physical impediments that can affect me during the tour. I will also never make any claim, financial otherwise, or any aforementioned company´s or any of there sponsors. I also agree that Canopy Vista Los Sueños can use my pictures on the tour as promotional materials. If paying with a credit card, you are hereby stating that you are the authorized cardholder, or that you have been authorized by the cardholder to use the credit card. In the event the credit card on the Order Form is dishonored, rejected or later contested for any reason, you agree to pay the amount indicated on the order form to Canopy Vista Los Suenos S.A. In no event shall Canopy Vista Los Suenos S.A. be responsible for any damages arising by reason of your purchase or use of services from Canopy Vista Los Suenos S.A.. In all instances, Canopy Vista Los Suenos S.A. maximum aggregate liability to you arising by reason of this transaction shall be the amount paid by you to Canopy Vista Los Suenos S.A.
You agree to indemnify and hold harmless Canopy Vista Los Suenos S.A., its affiliate companies, and their respective officers, directors, agents and employees against any costs, fines, claims, damages, charges, or fees (including reasonable attorney´s fees) arising by reason of this transaction. Prices are subject to change. Prices are locked once an order is placed. The only way to guarantee a specific price is to place the order at the time the quote is initially received. All prices are in US Dollars. 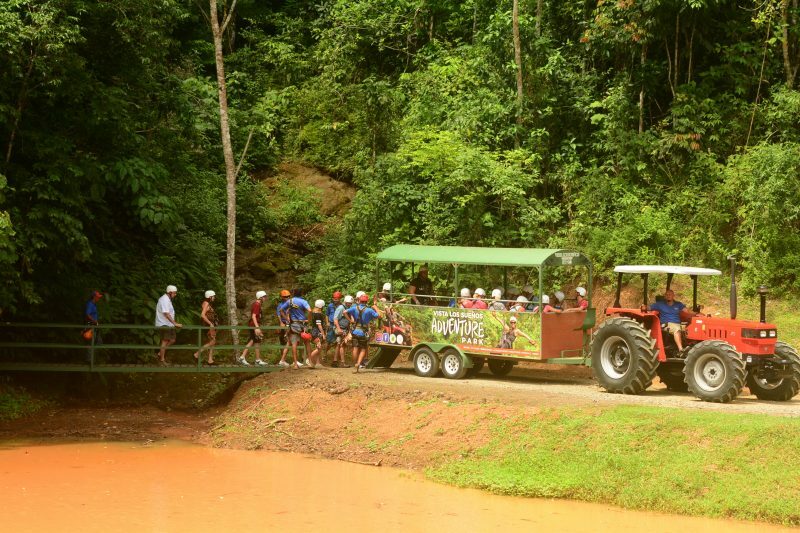 Canopy Vista Los Suenos S.A. reserves the right to conduct tours regardless of weather. No refunds will be given due to weather. Canopy Vista Los Suenos S.A. reserves the right to close off sections of its tours to the public without notice. In the event that a specific reserved time slot is either canceled by Canopy Vista Los Suenos S.A. or not available, or less than 1/2 of the tour was completed prior to closing the course, we will provide alternative options. It is important that you provide us with detailed contact information when you place your order so that, if necessary, we may reach you with these alternative options. Ticket vouchers expire on date shown on voucher. No refunds will be given for unused ticket vouchers. 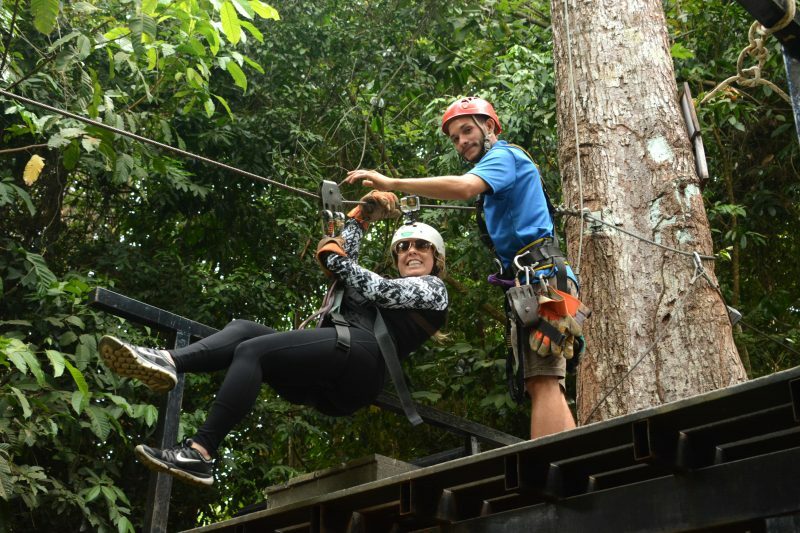 Participation in any activity featured at Canopy Vista Los Suenos S.A. is dependent upon submission of a signed waiver in the form specified by Canopy Vista Los Suenos S.A.. Refusal to sign such waiver will result in termination of reservation without refund. All participants must weigh between 70, 275 pounds at the time of their scheduled reservation. 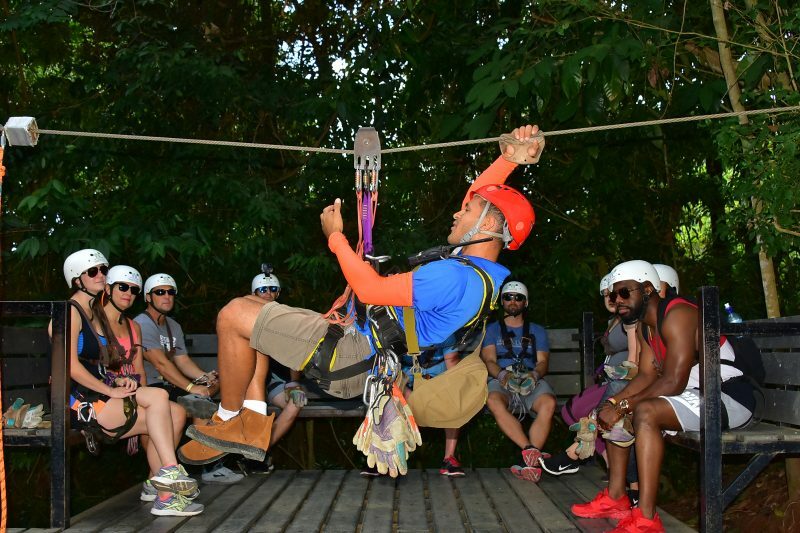 Participation in any activity featured at Canopy Vista Los Suenos S.A. may be dependent upon passing a weigh-in immediately before the scheduled reservation. Participants must also be able to comfortably fit into the required gear. These are physical active activities. Individuals should consult with their medical provider if any question exists about their physical ability to participate in our tours. Guides and personnel may at any time remove an individual from the course and/or premises. No refunds will be given. These terms constitute the entire understanding of the parties with regard to your purchase. All prior representations, oral or written, and all prior agreements, oral or written, having been merged herein. These terms or any portion hereof shall not be construed against the drafting party by reason of that party having drafted such terms or portion hereof. If any provision, paragraph, or subparagraph of these terms is adjudged by any court of law to be void or unenforceable, in whole or in part, the rest of these terms shall remain in effect. The parties agree that, in such event, the offending clause will be replaced with a provision or provisions having the same economic effect. These terms shall be binding on, and shall inure to the benefit of, the parties to them and their respective heirs, legal representatives, successors and assigns. In all matters contained in these terms, time is of the essence.